Lord Of Staffs Best Playmate , (CH). 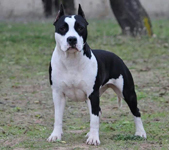 Cuda´s Play Boy , (CH). Builder´s Best Heavenly Rider Long Step , (CH). Penny Long Step , (CH). Ban Dream Long Step , (CH). Builder´s Best Heavenly Rider Long Step , (CH). White Head Long Step , (CH). Keti OD 1300 Kaplara, (CH). Don King Of Rings , (CH). Niggeria Of Eagle Blend , (CH).